Hey all. I am from Iowa but I ride the Wisconsin side of the River quite bit. Great area to ride over there. I have two bikes in the stable. I have a 2017 Yamaha FZ10 for my solo fun riding and a 2009 Kawasaki Concours for the two-up and long haul rides. Sorry it took me a while to get the approval done. Had an issue after we upgraded the site. Actually, didn't know about the issue for while, either. SW WI has some great stuff for sure. No worries. Thanks for the add to the Group! I am pretty familiar with the areas of Richland Center and Reedsburg too. Wildcat Mtn (33) is a great ride, too. I am particular to Hwy P.
Fast sweepers, slow & tights, straights ...every type all in one road. If you went on a LONG ride, check out the Mindoro Cut. Hwy 108 between West Salem and Mindoro. It can be sandy on occasion, so b careful. 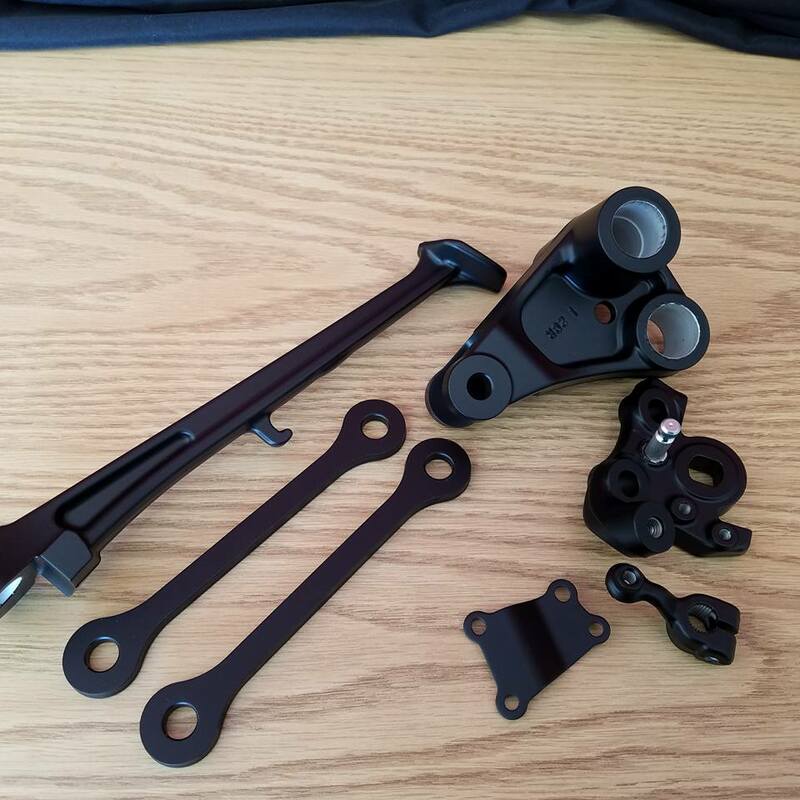 I picked up extra link parts and side stand pieces, powder coated them matte black and will get them mounted up with the shock. 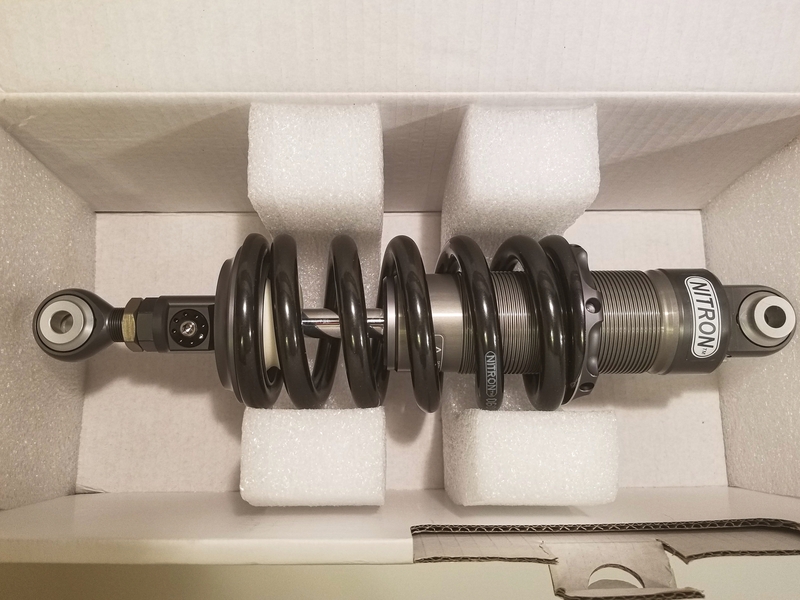 Waiting for the roads to be good to ride on in a few weeks before getting the shock swapped so I can do an honest before/after comparison. Welcome to the forum Bogie! Naw, don't worry about Tammy. He's a Harley guy who thinks everything else is junk. Welcome, BTW! Nice choice in bikes. I also have an FJ-09 and would have seriously considered the FZ10 had I not made my purchase in 2015. I really like the FJ, though. Of course, that's AFTER I redid the forks and shock! Also nice choice on the Connie. I had a serious look at those but wound up going the Ducati route. Thanks. I couldn't pass up the Connie. I snagged it this last fall. 2009 with only 6500 miles on it for $5800.